Express your most feminine style in this gorgeous silk cocktail dress. 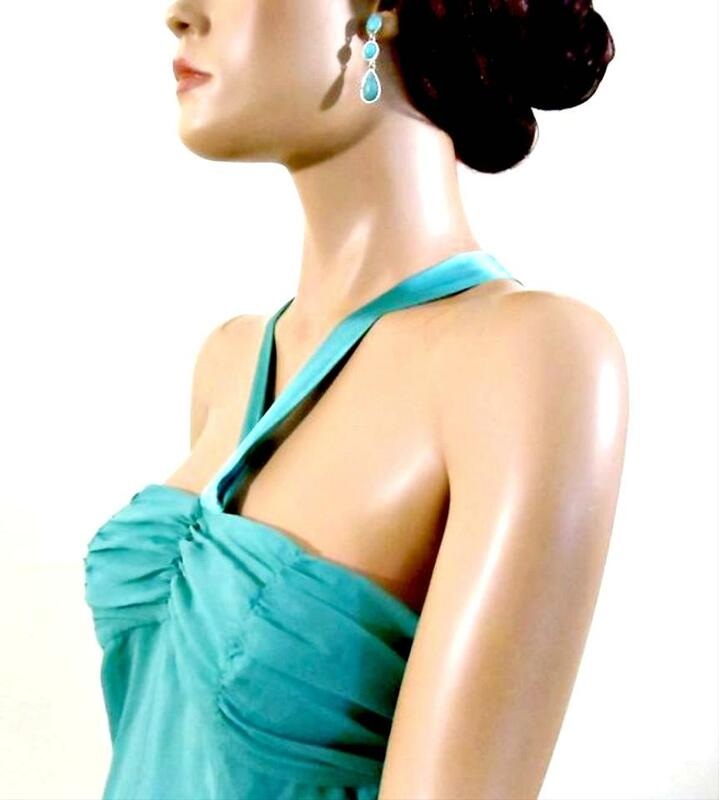 It's perfect for evenings, special occasions, or cruise wear. The fully lined dress is very light and delicate. Features a ribbon halter with straps that crisscross and tie at back. With softly draped, knee-length skirt, hidden back zipper and defined empire waist, this dress will quickly become one of your all-time favorites! Approx. Flat Measurements: Length from top center back to the hem is 27 inches. Fabric Content: Shell: 100 percent Silk; Lining: 96 percent Silk/4% Spandex Dry Clean Only.